Across from the Los Angeles temple is the Seagull Bookstore. I usually don’t stop in because we have been buying most of our LDS books from Deseret Book online. Today, I dropped by to see some of the latest releases firsthand. There’s just something about holding a book in your hand and reading the back cover before deciding to buy. I left with four books – three more than I had intended. I confess, I’m a book collector from way book. I wanted some more books on the last days as that has been my personal course of study this year. I have re-read all the Anthony Larson books in the Prophecy Trilogy. I have also been re-reading Prophecy – Key to the Future by Duane Crowther, owner of Horizon Books (now Cedar Fort), as well as The Coming of the Lord by Gerald Lund. The two additional books I purchased on the subject today are not new, but I have wanted to read them for quite some time. The first is Behold, I Come Quickly – The Last Days and Beyond by Hoyt W. Brewster Jr. It was first published in 1994 by Deseret Book but remains in print, attesting to both general interest in the subject and the treatment by the author. The second book is 50 Signs of the Times and the Second Coming by David J. Ridges, published by Bonneville Books (Cedar Fort) in 2004. 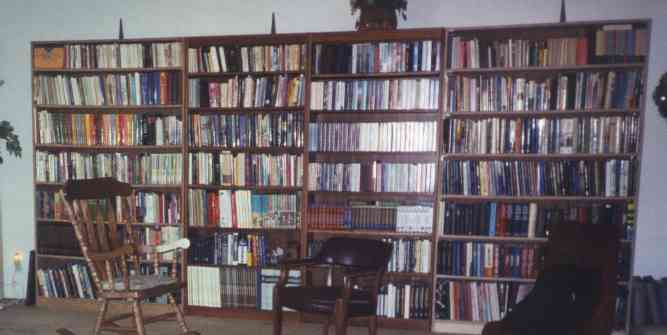 Brother Ridges taught for the Church Educational System for thirty-five years. I picked up the book for a quick perusal when I got home and could not put it down. I did not intend to do so but read the whole thing through in just a few hours. It is that fascinating. As usual for me, there are some interpretations of scripture in the book which which I don’t agree. But the book contains a great overview of fifty signs of the times that is worth reviewing. I highly recommend it. Interest in the last days is increasing as we enter the seventh thousand years. Chapter four of the book contains a comparison chart of the conditions preceding the Savior’s appearance to the Nephites to the conditions leading to the Second Coming. If you are interested in a more detailed treatise on this subject, I recommend Parallel Histories: The Nephites and the Americans by Anthony E. Larson. He takes the comparisons quite a bit further with an investigation of twelve parallels that are astounding to contemplate. Here is just one parallel from Anthony’s book worth noting: A time came in the history of the Nephites when they degenerated morally until they were more wicked than their adversaries. Essentially the same thing is happening to Americans today. If you’ll recall from Helaman 4:4 many dissenters and apostates leave personal righteousness and join the ranks of the enemies of righteousness. It was the wickedness of the people that made them weak and vulnerable. What else do you recall from the Book of Mormon description of the government in the days just before the visit of the Savior? The Gadianton robbers infiltrated and took over the government. They passed laws that made it easier for the people to participate in wickedness. The judges and lawyers that ruled the land in their day were mostly corrupt. I don’t know about you, but I have seen an amazing parallel as the judges of our day interpret laws that allow and encourage evil. “The earth is rumbling, and earthquakes are occurring in ‘divers places.’ Human nature being what it is, we don’t normally pay much attention to these natural phenomena until they happen close to where we are living. But when we contemplate what has happened during the past decade, not only with earthquakes but also with regard to hurricanes, floods, tornadoes, volcanic eruptions, and the like, you would see an accelerating pattern. Tim, I am honored that you almost bought my book! Maybe next time . . .Fascinating (and scary)thoughts on the parallels between the state of the world in Nephite times and our times. Next PostNext Are Mormons Christians?